Suggs has been announced as an ambassador for the Mayor of Camden’s charity to help fund inclusive music education programmes. The Camden Music Trust supports the Camden Music Service, which also funds scholarships and affordable musical instruments for loan to help children take part in music-making. The Madness singer has a long history with Camden and the band made their name at the Dublin Castle pub in the London borough in the 1970s. 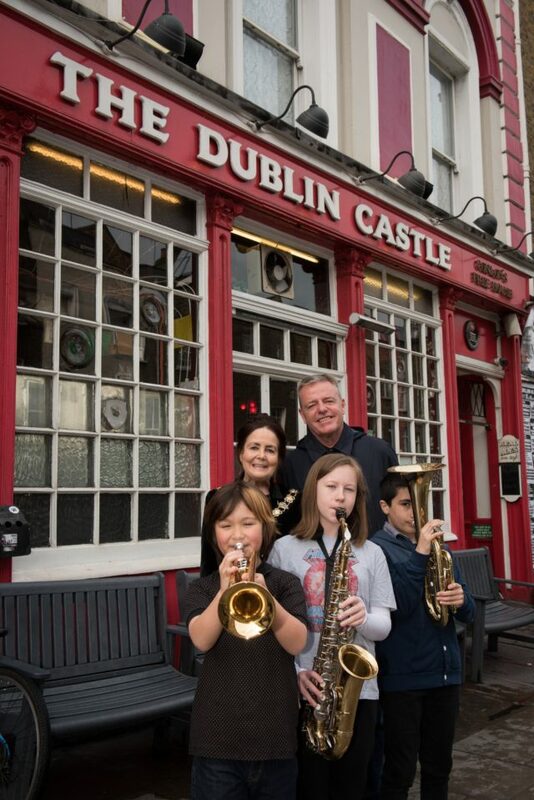 After meeting students from local schools at the same pub to hear about how they are using the music service, he said: “I am very pleased to be involved with the Mayor of Camden, the Camden Music Trust and many others in promoting music for young people. “For too long arts have not been given the priority they deserve. But who in this country is not cheered up by music – and by the money it generates? “Without the help of others, the pubs and clubs of Camden would not be here for us. Councillor Jenny Headlam-Wells, the Mayor of Camden, said: “It’s wonderful to have such an icon of Camden musical talent on board to inspire children and young people in Camden so they too could go on to have a successful career in music. “More than just learning an instrument, music helps build confidence and self-esteem, supports academic achievement, improves sociability, fosters discipline and patience, and promotes creativity.